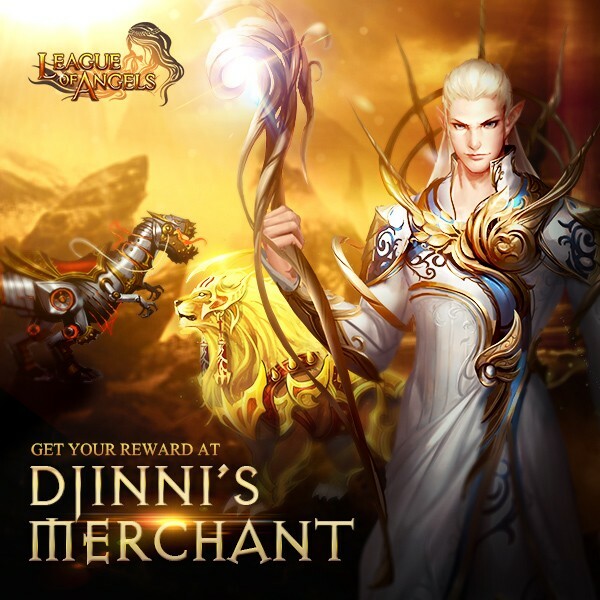 LoA_Djinni's Merchant Brings What You Want! - Click the “Refresh” button for a chance to buy different discounted items. 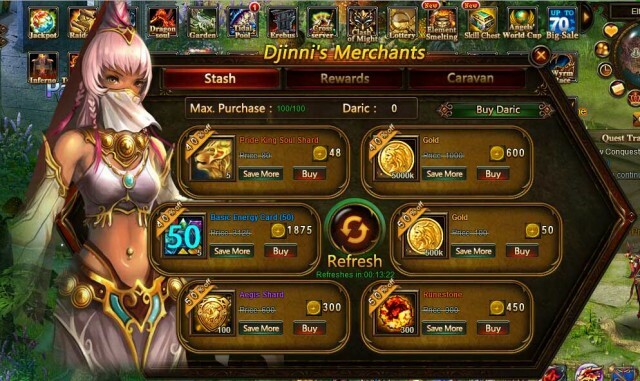 The commodities include Pride King Soul Shard, Sterling Moonbeam Shard, Mecha Tyrannosaurus Shard, Tyrannosaur Shard, Enchanted Ore,Blessed Stone, Soulstone, Seraph's Stone, Gem Enhancement Stone, Element Crystal, Aegis Shard, Refining Stone, Runestone, Lvl. 3 Cherubstone, Lvl. 3 Holy Crystal, Lvl. 4 Cherubstone, Lvl. 4 Holy Crystal, Lvl. 5 Superior Gem Chest, Lvl. 5 Common Gem Chest, Seraph's Stone, Element Crystal, Refining Stone, Runestone, Soulstone, Aegis Shard, Angel Tears, Gold, and many more. More exciting events are coming up through Jan. 9th to Jan. 12th. Check them out in the in-game How Events menu now!